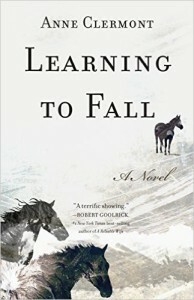 My friend Anne Clermont’s debut novel, Learning to Fall, is coming out the first week of August. Set in the equestrian world of competitive show jumping, it chronicles one young woman’s search for healing, hope, and what it means to love. About two weeks ago I went to check on Amazon to see if it was available for pre-order (it is, HERE). I got sidetracked, as Amazon always hopes a customer will be, by another book, a collection of essays with the same title, something right up my eclectic, mindfulness-based spiritual alley. The author is Philip Simmons, and the subtitle of this guy’s Learning to Fall is “The Blessings of an Imperfect Life.” It looked great, and the reviews sounded great. There is a tragic backstory: Simmons, a writer and writing professor, was diagnosed in 1993 with ALS at age thirty-five. ALS, also known as Lou Gehrig’s disease, is untreatable and always fatal. It’s a death sentence. He spent three years writing this book, well into his illness, and the end result is all the richer for it. Now, I’m sort of squeamish about the dying business, related books and/or movies, tender cancer stories, et cetera. I’m just such a suggestible, overly-sensitive soul. I read about sadness, I feel sad, melancholic. It’s also why I simply can’t tolerate gory or violent films. Their dark nature seeps right into me. But the instant I read a few lines of this book via Amazon’s “read a few lines of this book!” feature, I knew it would be a great fit for me. I’m utterly enamored, still, with Phillip Moffit’s Dancing with Life (which I highly recommend and talked about HERE) and this book sounded like it flowed from exactly the same profound-yet-pragmatic source. Simmons, however, had the added burden—or the grace, he might have argued—of working at pace with an imminent death. But what might have become maudlin, sentimental, rife with clichéd advice of “treasure each day” and “live in the now,” is instead startling, funny, pragmatic, insightful, well-written, enjoyable. I ordered the book that day, received it as we were packing for a family vacation, popped it right into the bag of vacation stuff accruing by the door, and began reading it the first morning at our vacation rental. Loved it. Perfect fit. What a powerful set of essays. Learning to fall certainly has its place in the dance world. All ballet dancers have to learn to fall, and do it with grace. Coincidentally, the day before the book arrived, I was watching excerpts on YouTube of the ballet, Giselle, to glean technical details for my ballet fiction. I came upon a Paris Opera Ballet performance of Act II of Giselle. If you are not a ballet peep, you should know that the Paris Opera Ballet is one of the top five ballet companies in the world; some might argue the very top. Their corps de ballet is top notch. So, in the clip, there they are, this graceful, ethereal cluster of twenty-four Wilis, (maiden spirits from the Act II afterworld) in identical white tulle bell-shape tutus, in perfect formation and synchronicity, perfect arabesques, perfect bourrés. But then there’s a moment when one of the twenty four faces disappears. An instant later it’s back. I had to rewind and watch again, and watch it two more times before I believed my eyes. 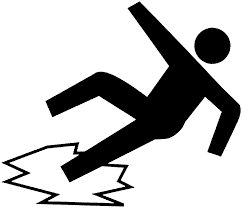 A Wili had fallen, during the simplest of steps, out of a bourré and into a delicate, low piqué arabesque. A mere step. She fell to the ground with a soft little thud and popped up an instant later, her expression as serene as anything and, really, it felt like a trick of the eye. 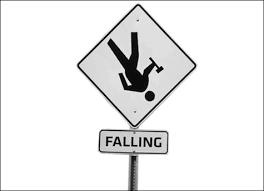 That dancer knew how to fall. She knew how to get up fast and maintain [outward] serenity and confidence. I felt vicariously terrible for her. She must have been dying inside as she continued on. Or maybe—and now that I think of it, I imagine this is the case—she was such a professional that, having fallen before, she’d learned to give a little inner shrug afterward and say “Whoops. Okay. Moving on.” There’s no room for debilitating self-pity during a performance when you’re a professional ballet dancer. You have no choice but to get up, reposition, and keep the dance going. Beyond this, my brain naturally gravitates to the project I’ve been devoting most of my time to these days, final revisions on my second ballet novel, Outside the Limelight. Dena, one of the story’s two narrators, has an onstage fall in the first chapter that precipitates the diagnosis of an acoustic neuroma (a benign brain tumor lodged between her seventh and eighth cranial nerve — the facial nerve and the balance/hearing nerve respectively). The meat of Outside the Limelight and Dena’s part of the story is what transpires after the tumor’s removal. If you know anyone who’s had a craniotomy, or an acoustic neuroma removal, you will know, as they will, that the recuperation process after a craniotomy is slow, rife with dizziness, imbalance, brain fog, headaches and heartache. Dena’s “learning to fall” then becomes a metaphorical journey that many a recuperating patient can appreciate—you are not the strong, healthy person you’d been at your peak, and the struggle back to health becomes your life, with all its rocks and sharp disappointments and failure to achieve the things you’d once accomplished so effortlessly. Dena, a prodigiously talented dancer, falls off the artistic director’s radar; she falls out of favor with her friends (and vice versa) and falls into terrible despondency when the recuperation takes months and not weeks, augmented by facial paralysis that shows no sign of healing. Tough stuff for a professional ballet dancer to be grappling with. Especially one who’d learned to fly so high. Back to Philip Simmons’ book. Here’s an excerpt, where he writes about how life is not a “problem” to be solved, unlike what the media would have you believe (10 Days to Slimmer Thighs! 5 Steps to Reviving Your Relationship and Your Life! 20 Tips For a Happier You!). Basically, it’s a damned mystery. Crappy, don’t-make-sense things happen, like being struck down by ALS at age thirty-five when your work and marriage are thriving and you have two small children. Wow. Such great stuff for me to hear right now. It helps me to understand that challenging, icky stuff that clogs my life isn’t a “mistake” to fix and be done with, or “bad” stuff that I must work to get rid of as soon as possible. There’s merit to it all. And there’s less merit to clinging fiercely to the stuff I like—the comfortable, the familiar, the pain-free—than I’d realized. Amen, brother. And thank you, for teaching me the beauty and wisdom tucked behind the falling. 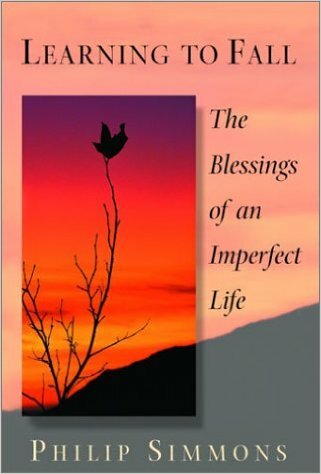 HERE is a link to Learning to Fall – The Blessings of an Imperfect Life. And check out Anne Clermont’s forthcoming novel, Learning to Fall HERE. And look for Outside the Limelight to hit bookstores in late October. PS: HERE is a lovely 2002 article and a touching tribute to Philip Simmons by David Reich, former editor of UU Magazine. This entry was posted in Ballet, Life, The Writing Life and tagged ballet fiction about learning to fall, Learning to fall, Learning to Fall - The Blessings of an Imperfect Life, Learning to fall Anne Clermont, Learning to fall Philip Simmons, Outside the Limelight, stories about learning to fall on July 10, 2016 by admin.